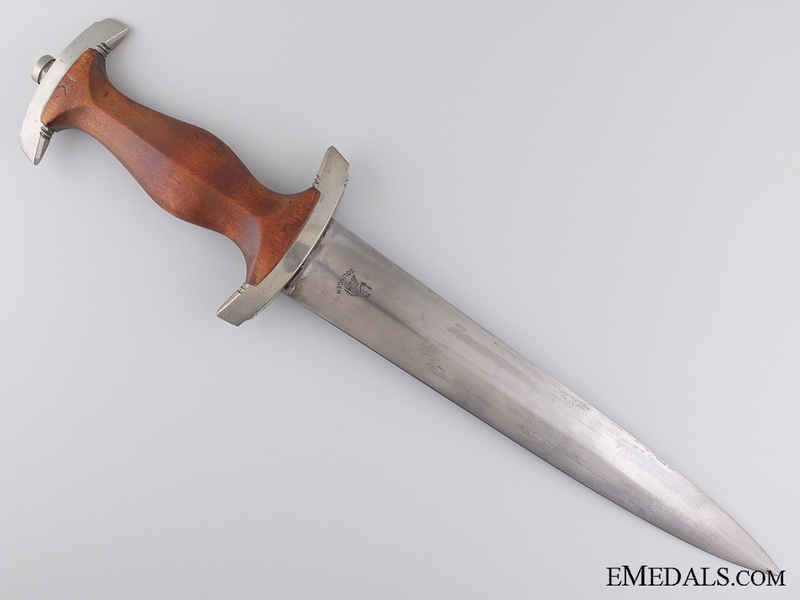 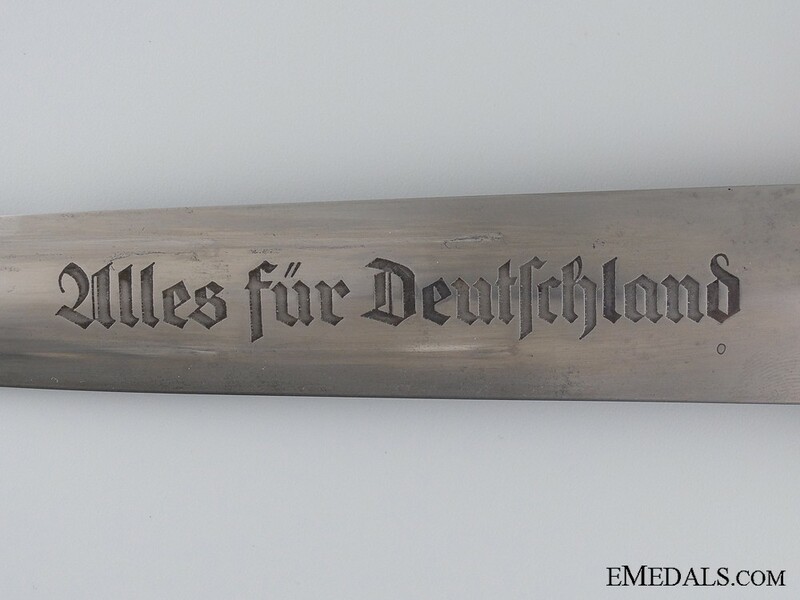 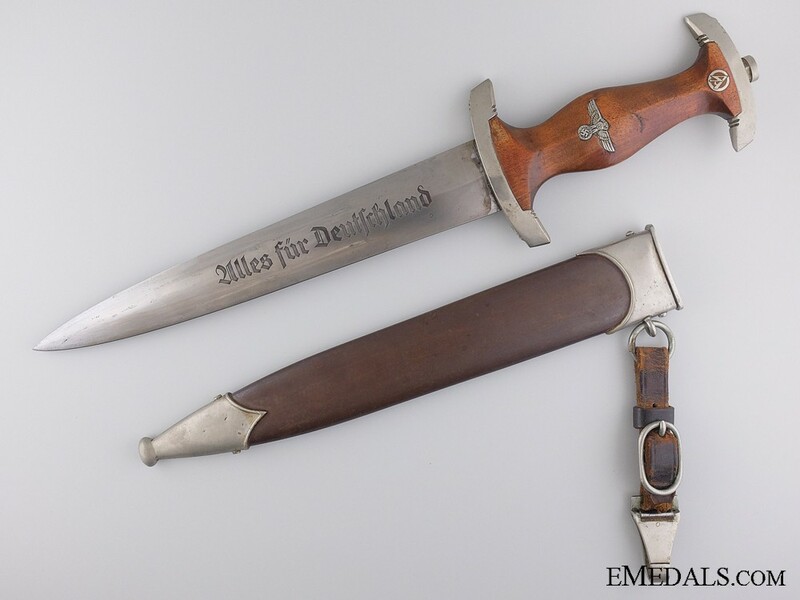 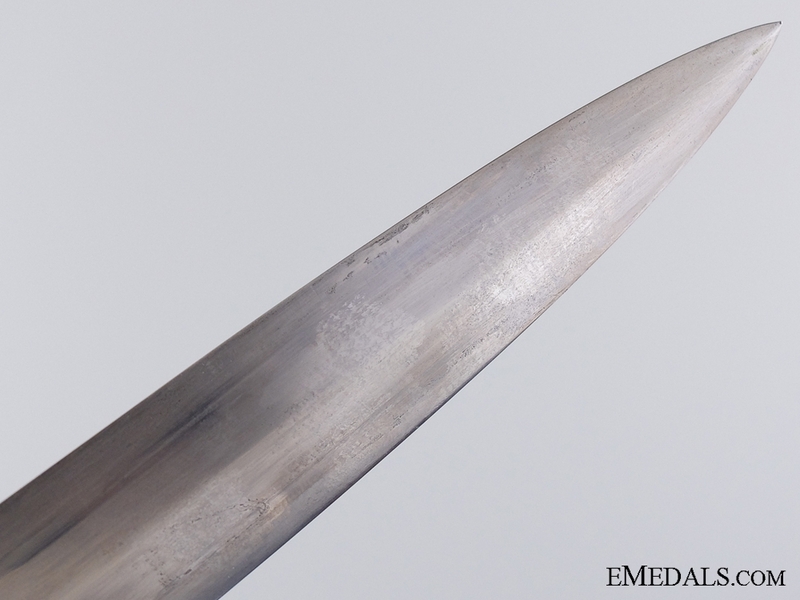 An SA Dagger by Stocker & Co. (SMF) Solingen - Measuring 377 mm in length with the scabbard on, this SA dagger is engraved "Alles für Deutschland" on the blade, exhibiting beautiful crossgraining, with the usual in and out runner marks, with sharp edges and a very sharp tip. 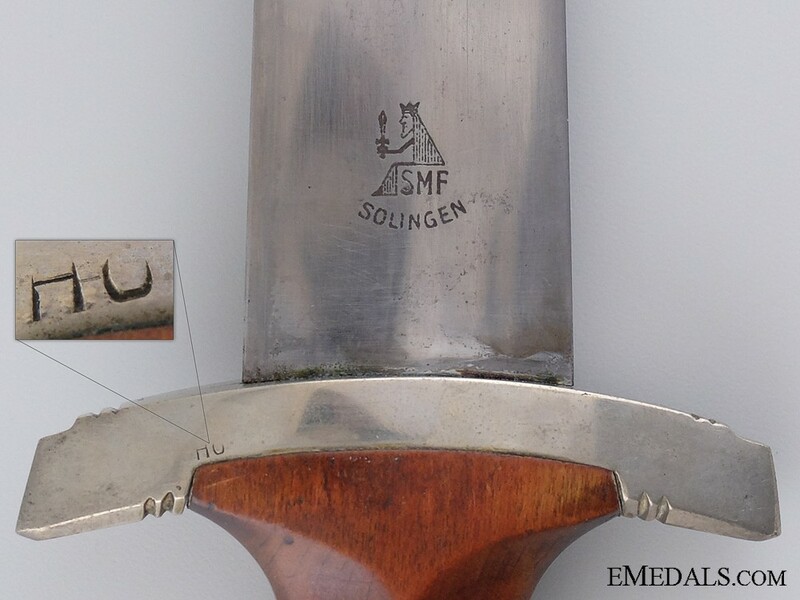 The reverse ricasso is maker marked SMF Solingen (Stocker & Co.) with the company's stylized king holding an upward pointing sword insignia, the blade measuring 220 mm in length and rating better than very fine. 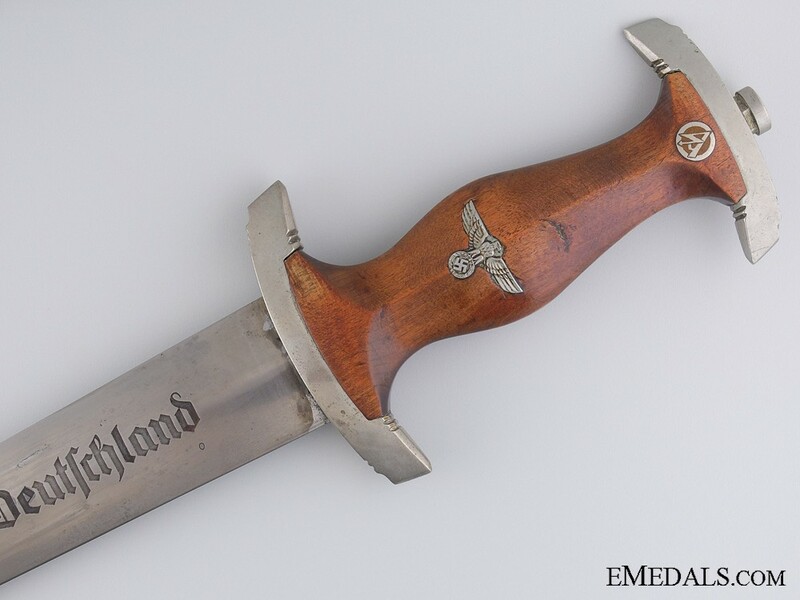 Nickel plated fittings on both crossguards, along with the pommel, the reverse of the central crossguard with the "HO" (Hochland) SA Group mark, exhibiting very light contact. 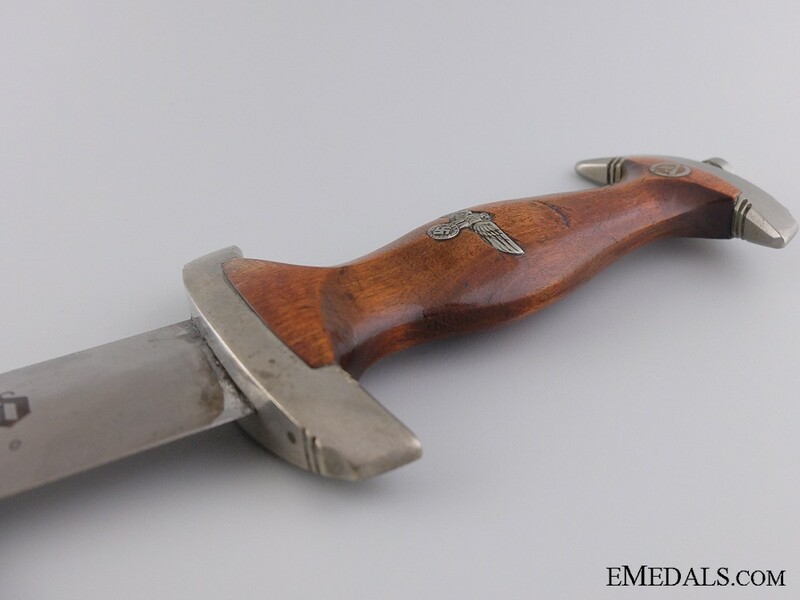 Wooden handle with one dent among the eagle and fits tight to the crossguard. 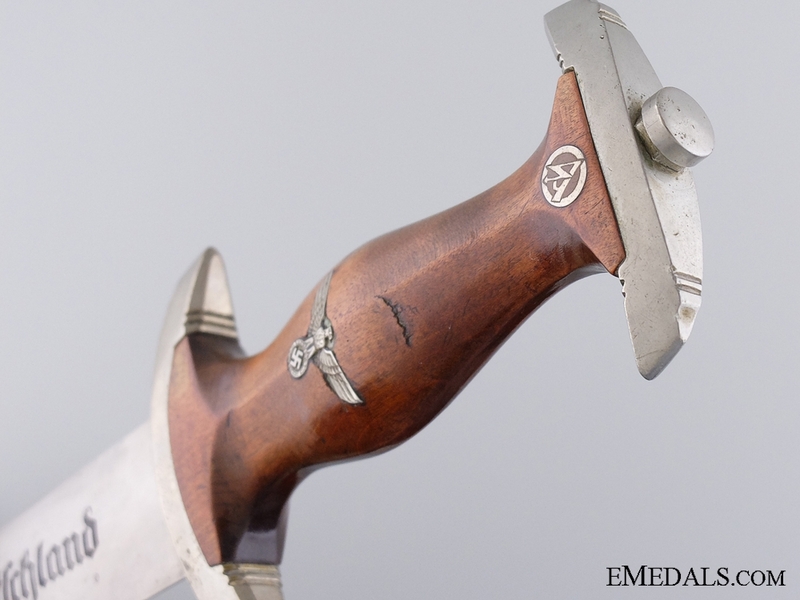 The embedded finely-detailed aluminum eagle shows well and rates near extremely fine, as does the SA insignia. 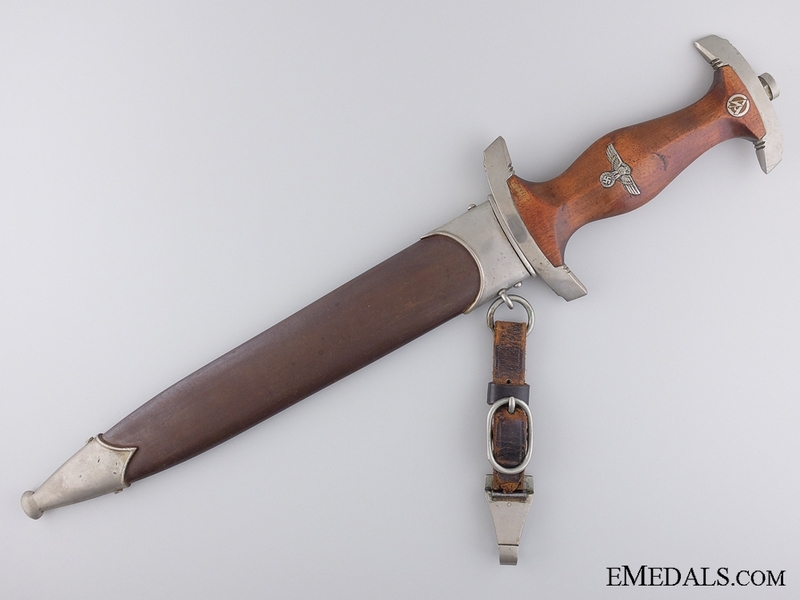 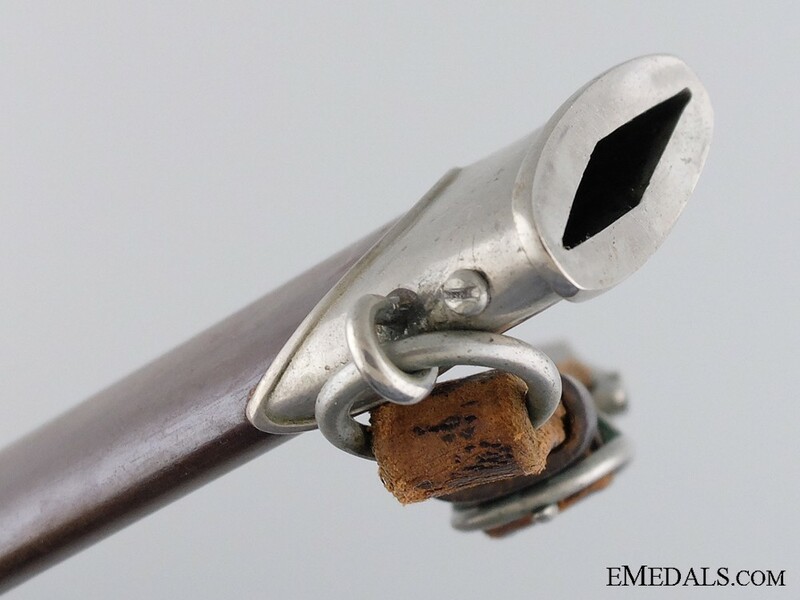 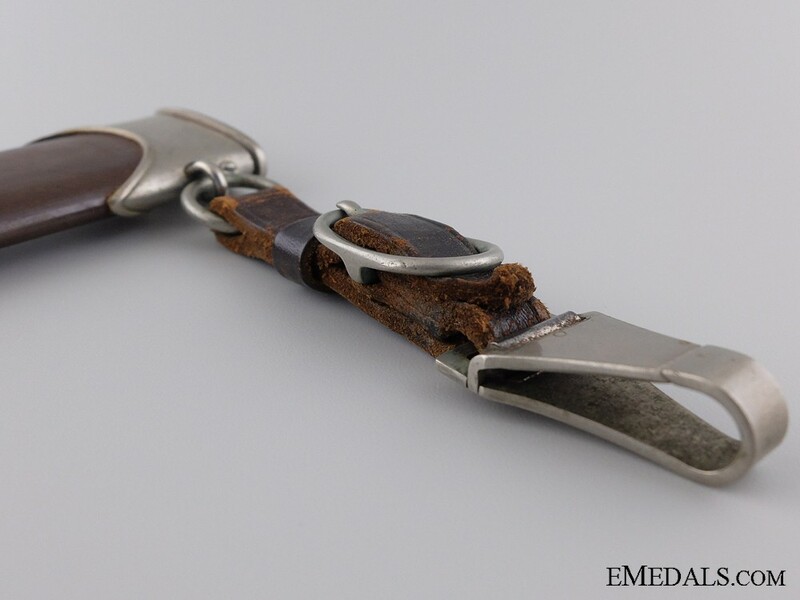 The scabbard fittings and dark brown painted body exhibit light contact, the throat and chape held firmly in place via two screws each, a leather dagger hanger strap attached to the ring, the leather experiencing mild crazing and wear from active use, with the buckle and functioning clip in aluminum, the scabbard measuring 253 mm in length. 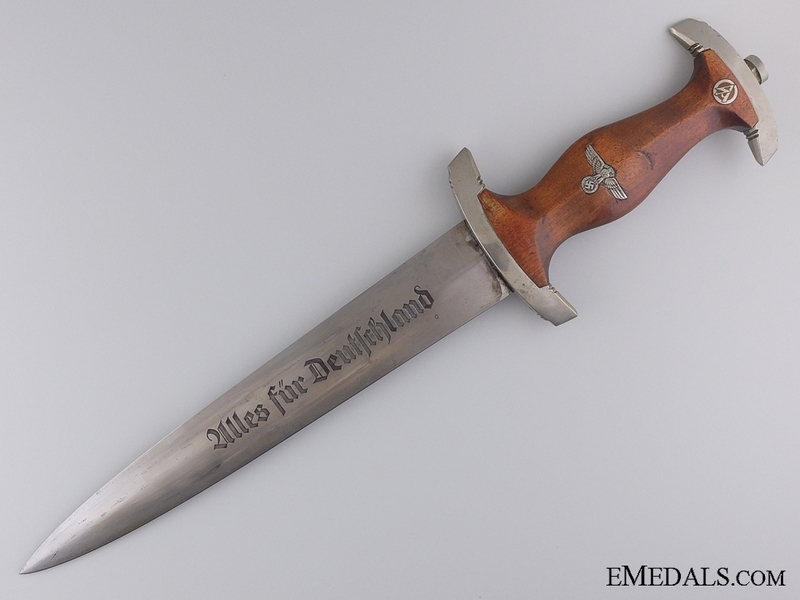 Better than very fine.